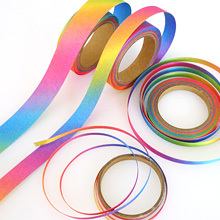 Rainbow Ribbon | YACHI TEXTILE MANUFACTURING CO.,LTD. 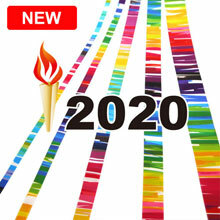 Rainbow Ribbon│YACHI TEXTILE MANUFACTURING CO., LTD. 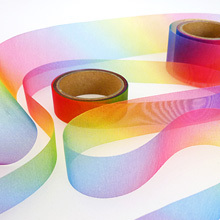 This is the industry's newest rainbow color ribbon made with special color processing techniques. 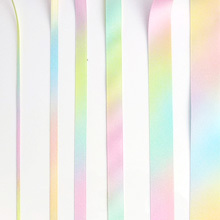 There are three types of satin, i.e., vibrant vivid color, light pastel color, and organdy. We have large stocks, so we can respond quickly and flexibly to suit your needs from small to large order.